Real Estate Software Made Simple. Automatically capture, share and track leads from both online and offline lead sources like Facebook, Zillow, Realtor.com, your personal website, landing pages, listing signs, mailers, and many more. Create a queue from your leads and prioritize them based on their status. Disposition leads based on custom parameters and easily schedule followup. Warm transfer calls to others on your team. Easily share and collaborate with team members and referral partners on any lead. Automate communication and increase lead conversion by connecting more partners to leads earlier in the sales process. 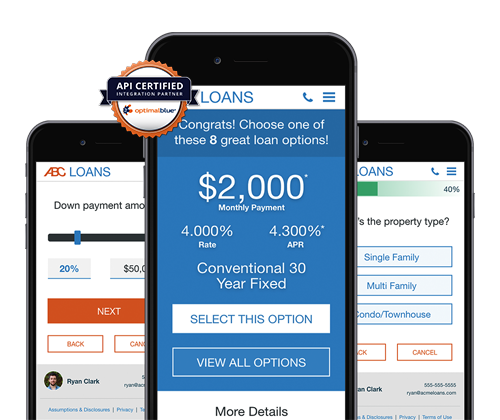 Close more loans with a simplified experience for your borrowers that automates the process, connecting to their financial accounts to auto populate most of the 1003, including their docs. Customize your workflows and automate follow-up to new leads as well as past clients with preset triggers to launch automatic reminders, emails, tasks, lead sharing and more with just one click. Robust tablet app with a sign-in sheet that syncs with your CRM. Upload your listing pictures and send your visitors a professional follow up email containing the listing along with your contact information. Create custom text messages to auto respond to incoming leads. Increase conversion and quality of service by sending automated messages to your contacts and manually respond when you hear back. Create custom email messages to automatically respond to incoming leads. Increase conversion and quality of service by sending automated messages and email blasts using customized email templates. Automatically deliver accurate product and pricing information to the consumer or loan officer through our new point-of-sale integration with Optimal Blue’s advanced API. Once configured, Optimal Blue sends the results directly back to Big Purple Dot to display to the consumer and loan officer. Automatically distribute to your team members, throughout your company and/or preferred partners. With our software, you'll have the ability to automatically distribute leads using round robin or shotgun distribution rules. Additionally, you can set a time limit to claim a lead before it's automatically redistributed to the next available team member or partner. Our automated distribution feature ensures every lead is assigned to someone who can immediately address it, increasing Speed to Contact. 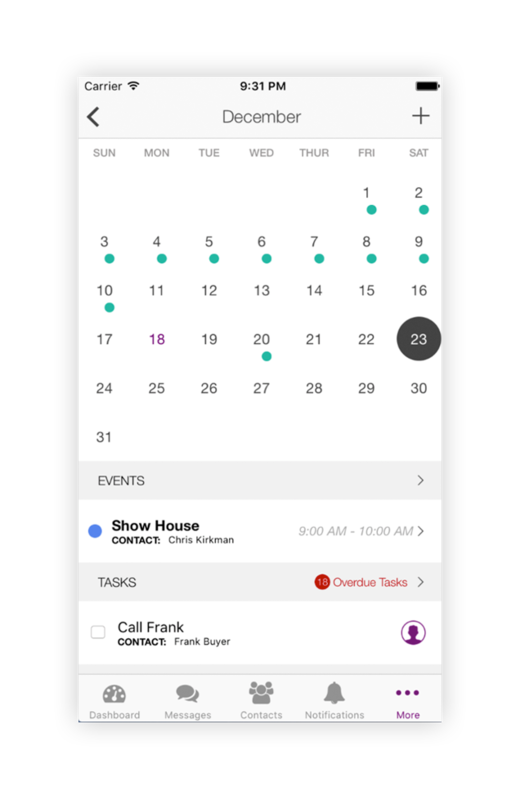 Keep a detailed call log of all incoming and outgoing calls and text messages. With our call tracking feature, incoming calls, with optional recordings, can instantaneously create or update a contact within your database. Add your current email and text templates, create custom email and text templates and manage all of your email and text drip campaigns using our robust automated marketing features. Manage your leads on the go with our mobile CRM app for Apple devices like the iPhone and iPad. And, as web-based system, you can easily access and manage your leads from all other mobile devices, including Android devices, using the mobile web version of our system. Gain visibility on your team or company's entire contact database by connecting all marketing sources and team members through Big Purple Dot. As a team leader or nationwide organization, Big Purple Dot provides a top down view of every team member and their contact database. Big Purple Dot's software simultaneously empowers each team member with independent management of their sales opportunities while also providing management with visibility of the organization's entire pipeline. When you sign-up for Big Purple Dot, you're not only getting the best mobile-friendly CRM in real estate, you're getting the best support team backing your business. With live webinar trainings offered daily to a dedicated success coach, our team will be with you every step of the way to get the most out of your contact database and marketing campaigns. Grow your business by recruiting and managing new team members using our software. Our software relies on the best technology available when it comes to protecting your data. When you implement Big Purple Dot into your day-today operations, you're adding the best technology support team to your business.